As we had our two weeks transition time in July, we had already learned the routines of our new classes and made a start on our exciting new topics. We have come back after our long summer break and hit the ground running and raring to go! We have welcomed lots of new children into school, who have settled well, made new friends and are ready to learn. The children have had some great experiences to support their learning. 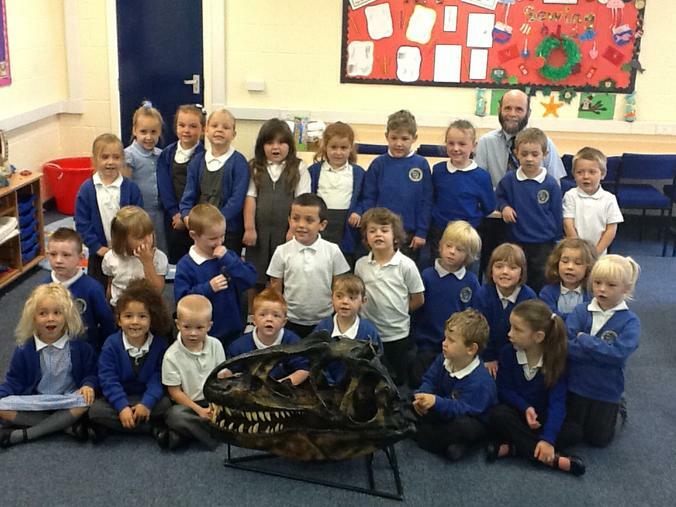 The Year One children had a visit from Mr Plater the dinosaur man. He bought in bones and fossils to show the children. They had a great day and loved the giant dinosaur skull. 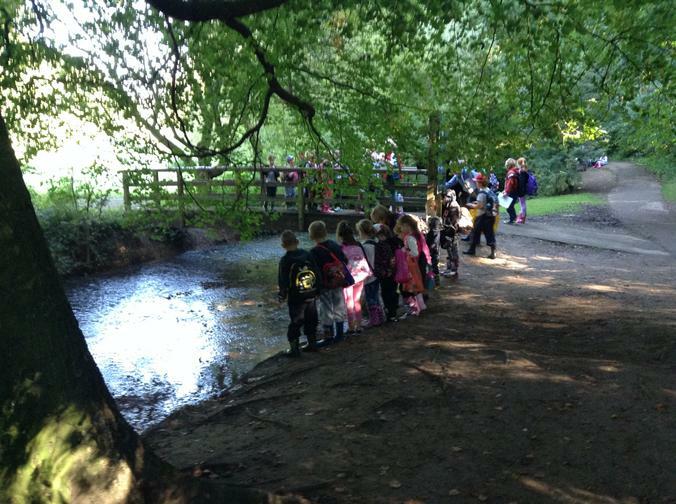 Year 3 and 4 children have enjoyed a fun packed trip of activities to Hubbard’s Hills as part of their new topic 'Flow'. 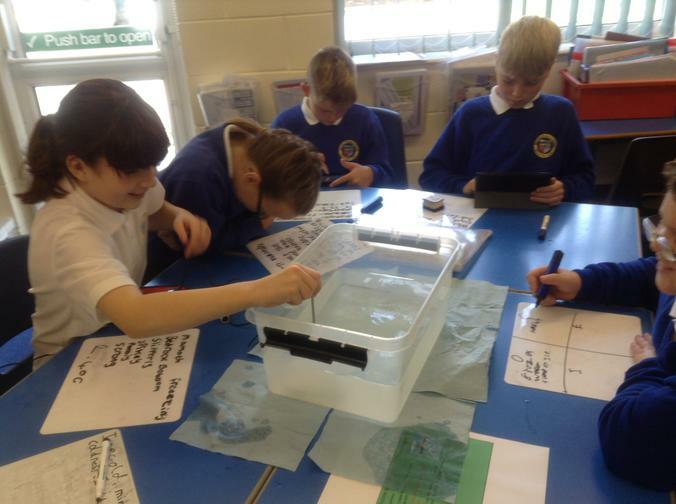 The children gathered information on many aspects of the river to continue their learning back at school. 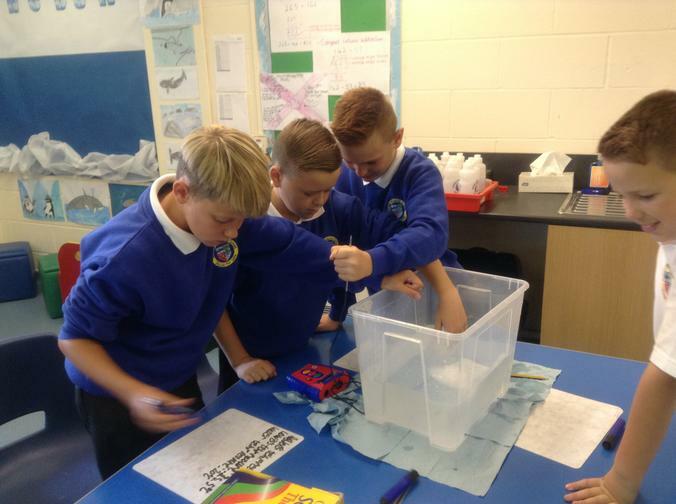 To start off their new topic of 'Frozen Kingdom', year 6 have investigated how ice bergs behave by creating their own mini icebergs! To see more of what the children have been learning, please see the individual class pages.